We moved in with little to no problems. The apartment was in great condition, clean, and ready to move in from day one. The leasing staff has been very helpful too. Our dishwasher could work better. I love living in Stadium Walk because it’s in the perfect location from everything. There is food places, gas stations, and stores all around me. I love the vibe of SW it’s the perfect place to call my first home. Great community to live in! The leasing office has been friendly and on top of everything from day one. The maintenance team fixes things extremely quickly. The actual apartments are well maintained, and it's in a safe area. This is one of the best apartment complexes I've ever lived in - highly recommend! Overall a pretty good complex. Just wish picking up pet waste was a bit more enforced in the dog park. It seems a few owners just let it be. Brandon Keith C., thank you for your kind review; we are happy to pass along your comments to the team here at Stadium Walk Apartments. We try to stay on top of the pet waste and are happy to send a reminder out to residents as a friendly reminder so everyone can enjoy a clean dog park! I couldn’t have picked a better place to call home coming all the way from Massachusetts. It’s been a year and a half since I’ve lived here and I am extremely happy with this community! The entire Greystar staff is phenomenal! Kristie D., we are so happy to read such a great review about Stadium Walk Apartments! We couldn't pick better residents! Hope you're getting ready for round two for summer by the pool!!! Lease experience was easy and user friendly! Staff was always smiling, ammentities were in great shape. Even had a tailgate for braves game going on that got me very excited! Hi Austin B., we are very happy to have provided you with such a positive experience! We look forward to seeing you soon and hope you join the next tailgate! Go Graves! Everyone i have met so far is really fun and nice. Games are so close literally walking distance and the pool is salt water so that’s a plus. Hi Jeinny Yalimar N., thank you so much for your positive comments about Stadium Walk Apartments! We look forward to seeing you at the next resident event! Stop by the Leasing Office every Thursday to hang with the team and your awesome neighbors. Take care! Amazingly location and amenities! Feel very safe with all of the gates of entry into the complex and buildings! Complex also always has great resident events and giveaways! Thank you again for taking the time to let us know how we are doing. We have some more tricks up our sleeves for next week, hope you can join the scavenger egg hunt next Thursday! The apartment is in the perfect location near the battery and local shops. The staff is friendly and residents are nice as well. So far positive experience at Stadium Walk. Thank you again for taking the time to let us know about your experience at Stadium Walk. We hope to see you tomorrow at the Opening Day Tailgate! Nice living and amenities. Pretty landscape and building appearance. Friendly and welcoming staff ready and willing to assist with your needs. We appreciate your positive review about your recent experience with us! We hope you can join us tomorrow at Opening Day Tailgate! Pallavi S., thank you so much for taking the time to leave this review! Please feel free to contact the Leasing Office if we can be of any assistance. Hope to see you at the Opening Day Tailgate Monday! Been good so far. Quality of construction is so so though. Not worth the amount. Realized once we started to stay here. Current management is good. Pllv*@*.in, thank you so much for taking the time to leave this review! Please feel free to contact the Leasing Office if we can be of any assistance. Hope to see you at the Opening Day Tailgate Monday! Everything has been seamless. Only complaint is the shower doesn’t stay hot for long. But that’s minimal compared to the positive side of this place! Hi Taylor A., we are very happy to hear you are enjoying Stadium Walk but still hate to hear of your water issues. Glad to be able to get the maintenance team out to help you out with your maintenance inquiry. Don't forget you can always call us up in the Leasing Office and our Maintenance Team is on call 24/7 for emergencies! Can use a better parking situation. Neighbors who drink are starting to make the community seem “dirty” and rude by leaving their beer bottles by random doors. It has happened to me and others many times. Raaya R., we really appreciate your feedback! We have recently ordered some new trash bins to assist residents in properly disposing of their empty beverages. Please let us know if there is something we can do to assist you with parking. Stop by and talk with the Manager tonight at this week's resident event, the Courtesy Officer will be here to and we would love to get some feedback so we can better assist! Good location right next to suntrust park and the battery. Management seems fairly responsive. Maintenance was hard to get a hold of at first but they are getting better. Would recommend. Hi Jack C.! We're so happy we were able to help you out and glad to hear that maintenance has you up and running. We hope you can stop by and meet some neighbors at tonight's resident event celebrating Mardi Gras! Much better with the new management! We have some noise issues, but typical of an apartment complex. New staff are fantastic and always willing to stop and chat! We appreciate your positive review about your experience with us! We hope you can make it down tonight for Mardi Gras festivities. If not, the next two Thursdays we will have some corn hole "training" and drinks to prepare for the upcoming corn hole tournament. Hope to see you soon! We appreciate your positive review about your recent experience with us! We hope you can make it out tonight for our Mardi Gras event. If not, our next two Thursday events will be preparation for the upcoming corn hole tournament, hope to see you soon! Lovingly!!! This community is so much better than any of the other community I’ve stayed in over the years. I love the modern look in the apartment home. We appreciate your positive review about your recent experience with us! We hope you can stop by later and join us to celebrate Mardi Gras and meet some neighbors! Beautiful amenities and sleek/modern apartments! You also cannot beat the great location to SunTrust Park, the Battery, and nearby shopping. We appreciate your positive review about your home. We are ready for the Spring weather and baseball season for sure. Join us at the next resident event on Thursday to meet some neighbors to join you up at The Battery one day! We love the location!! Convenient to 75 and walking distance to suntrust park. 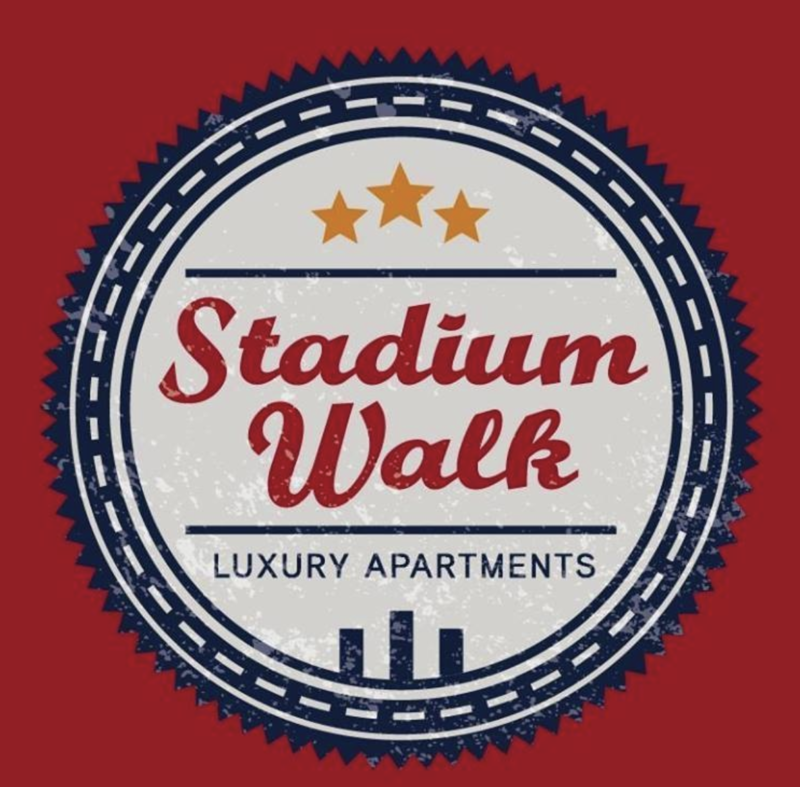 We have been very happy with our experience at stadium walk! We appreciate your positive review about your recent experience with us! We hope to see you at this week's resident event. Come join and meet some of your great neighbors! We appreciate your positive review about your recent experience with us! We hope to see you at this week's resident event on Thursday where you can meet some more of your great neighbors! I love the complex but the only thing that I really don’t accept is people putting trash for days in front of their houses when either the valet person doesn’t pass by or too early or too late for that person to pick that up. Also outside building 3000 people never picked up their pets poop so it’s everywhere around parking plants. Oh and unfortunately we all have (in building 3000) a neighbor whose car has an alarm that does not stop ringing. Thank you again for taking the time to let us know about your concerns. Please contact the office if you see trash out at a door outside of the valet trash hours so we can assist. We can not only help clean the trash up in the moment but will also communicate the rules with your neighbors to try and prevent the issue again! Great place to live and security is great. Security is high priority...I would recommend this place. Security gates as well security gaurds. They dont leave the gates open like most places w security. I travel alot and Security is high priority for myself and family. Bobby M., your wonderful feedback and rating mean a lot to us. We can't wait to see you again, have a great day. Stadium walk is an amazing place. The gym and pool are great amenities! My dog also loves the dog park which is an easy way to meet people if you’re new to the community! Hi Shai P., thank you so much for your positive comments about Stadium Walk Apartments! We hope to see you Thursday at this week's event, feel free to bring the puppy!